Nvidia's Isaac shows the promise of speeding up robot training, bringing the future of work closer to reality. With robots on the rise, they'll be infiltrating our businesses faster than most people think -- and not just for industrial use cases such as we already see in industries such as mining, manufacturing, agriculture, and logistics. With today's technologies, it's not hard to imagine autonomous machines learning to do a much wider variety of tasks, such as requesting that Joanne in marketing "tell all humans" ASAP about Sprint's 50% off deal. While the Sprint TV ad was meant to be satirical, it's a great example of how we might be interacting with robots in the future. They can analyze data, scan images, look through inventory, and do a bunch of things faster than people can do. Many of the early uses cases have robots working alone, but more and more they'll be collaborating with people. If you're not sure what "collaborate" means with respect to robots, the International Organization for Standardization (ISO) has defined a number of criteria in TS 15066; many revolve around safety. For example, the technical specification includes a measure for decreasing speed automatically as a person approaches a robot. Imagine being in a hardware store and having a robot run into you while you're asking it for help -- not good for customer service! ISO also specifies that a robot should cease operations should a person enter its zone while it's performing dangerous tasks. One of the biggest challenges in using robots is the amount of time required for training. For example, teaching a robot to do something simple, like walk, involves a number of different scenarios from which it "learns" -- uphill, downhill, uneven terrain, and a variety of surfaces, for example. Training environments can take months to set up and for the robot to complete. Nvidia's Isaac simulator, introduced earlier this week, is designed to shorten the time a robot needs to learn. It does so having the training take place in a virtual world, and then uploading the data into the robot, which will then function as expected. Reconfiguring a virtual environment takes a fraction of the time of reconfiguring a physical space, and allows for thousands of simulations instead of 10s, thus greatly increasing accuracy. To demonstrate this, Nvidia built "Carter" (a robot that reminds me of one of the droids in the original Star Wars movie). Nvidia wanted Carter to move around its new building, Endeavor, without bumping into people, plants, desks, tables, or other physical objects. The company built out a fully simulated version of Endeavor, complete with people moving about and other hazards Carter might encounter. 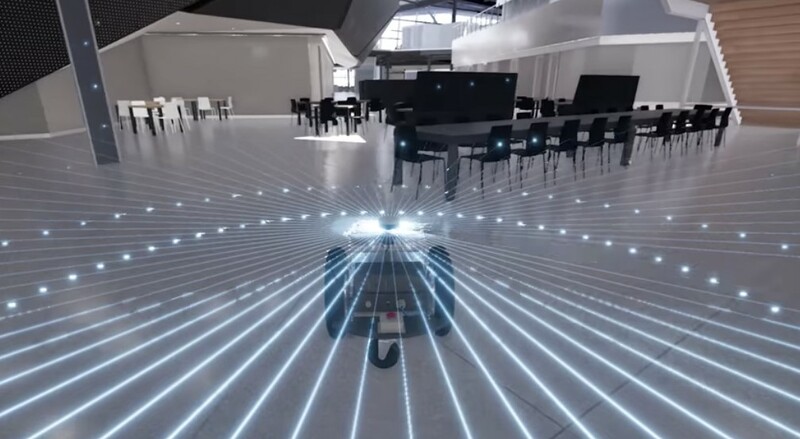 After training virtual Carter in the virtual Endeavor, Nvidia uploaded the data into physical Carter, which was able to roam around the building flawlessly and prove the value of using simulated, virtual environment for training. Isaac is the latest product launch from Nvidia, a company that only a couple of years ago was considered a niche supplier to the larger video gaming industry. Today, it is arguably the single most important company to the advancement of artificial intelligence and related technologies. In the past two years, its stock price has almost quadrupled as technologies such as robots, AI, and virtual reality have moved out of the shadows and into the mainstream. Robots are coming... and coming fast -- and will change the workplace in ways we have never imagined. Nvidia's Isaac simulator makes it possible to accelerate the training and deployment of robots in a safer, more reliable way.